Sony has started rolling out Android 7.1.1 Nougat update to its Xperia XZ and Xperia X Performance smartphones. The update is 650MB in size, comes with a build number 41.2.A.2.199 and also brings Android Security patches for April. The news breaks out via Xperia Blog, which states that the update is a regular Android 7.1 update without any exclusive Sony-related features. Also, Android Nougat’s app shortcuts only work with the original launcher and not native Xperia Home launcher. To recap, we must mention that the Sony Xperia XZ and X Performance were the first Sony smartphones to get Nougat update in December 2016. The other Xperia phone to join the Nougat club was the Z5 series, which got the update in February, this year. The Android 7.1 update brings new emojis onboard that include GIF support from within the keyboard, which is supported by apps like Google Allo, Messenger, and Hangouts. 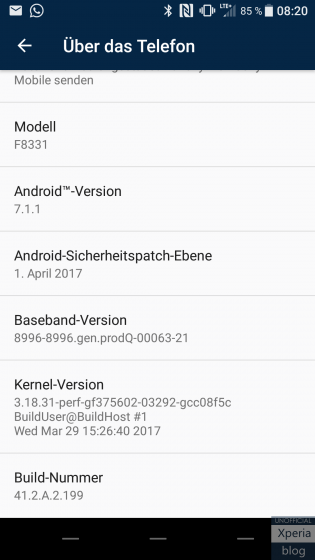 If you own a Xperia XZ or Xperia X Performance, you will soon get the notification for the OTA update. Make sure that you’re on a stable data connection and your device is fully charged. 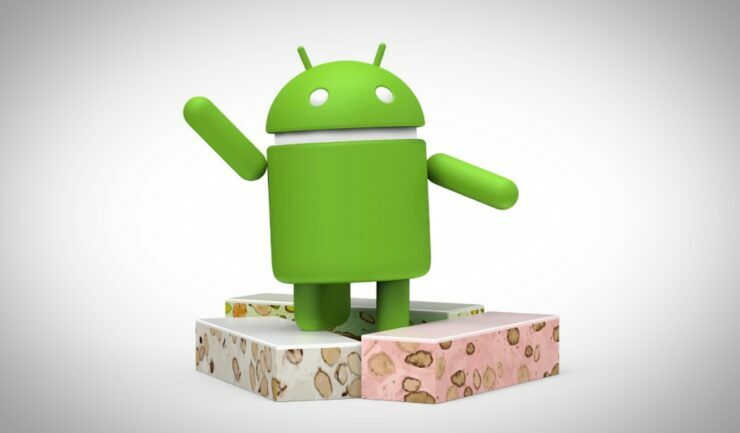 Joining carriers like AT&T, Sprint, and Verizon, T-Mobile is also gearing up to roll out Android 7.0 Nougat update for the Galaxy Note5. The update will start rolling out from next week to the T-Mobile Galaxy Note5 owners. In a tweet, T-Mobile’s “Gadget Guy” Des confirmed that the update will be up for flash next week. Technically, the Galaxy Note5 is still the latest device for the Note series, after the failure of Note7, the Galaxy Note5 is the latest Note device in circulation. With Nougat update, Note5 users will see new features and enhancements. Android Nougat is making its way across Verizon’s Samsung Galaxy S6 and S6 edge smartphones. The update brings the Galaxy S6 to NRD90M.G920VVRS4DQD1 and the Galaxy S6 edge to NRD90M.G925VVRS4DQD1. For now, the file size of the update is known, but we can expect it to be somewhere around 1GB. The update brings refreshed UI, better battery efficiency, enhanced multitasking, improved keyboard, and other features aboard. The changelog for this update does not reveal much information, except for the security patch. If you’re a Galaxy S6 or Galaxy S6 edge user on Verizon then you will soon get a notification for the OTA update. Before downloading the update, make sure you’re on a stable Wi-Fi connection and your device’s battery is fully charged. Beware, Your Next Update From Google Could Actually Be a Downgrade!